On September 21, 2018, a second workshop with project stakeholders was held in Bijambare Protected Landscape. 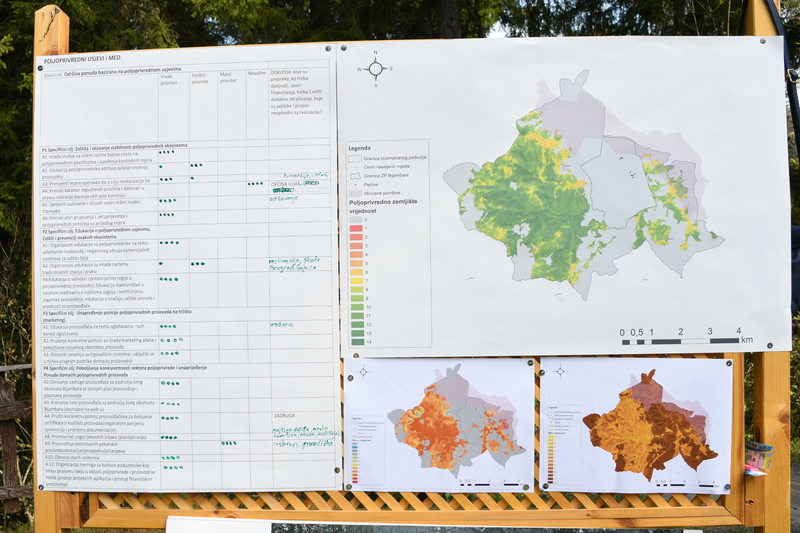 The workshop was organized within the fair of local products titled Golden colours and organized by the Cantonal Public Institution for Protected Natural Areas Sarajevo and CENER21. Stakeholders from the local government, business, academia, local population and general public attended the workshop. The main objectives of the workshop were to inform relevant stakeholders about the results achieved in the ECO KARST project in the last few months as well as to continue with the activities initiated during the first workshop. 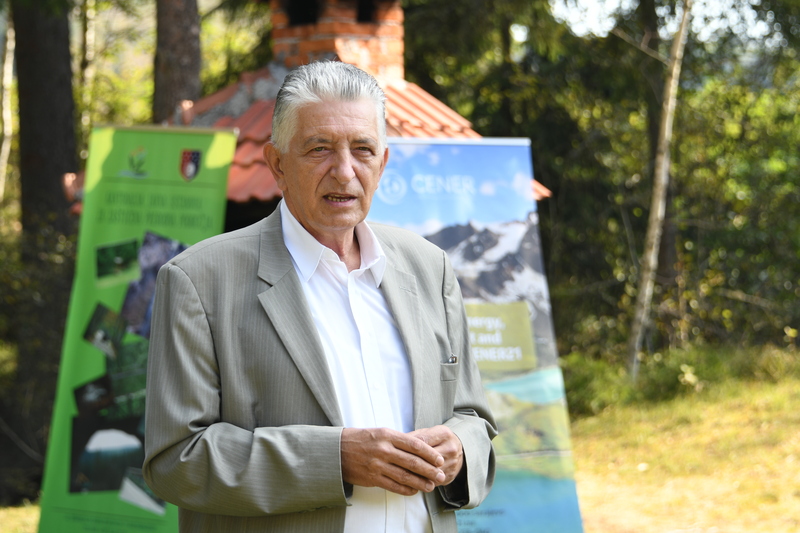 The workshop was opened with a welcome speech by Mr. Osman Delić, director of the Cantonal Public Institution for Protected Natural Areas Sarajevo, who greeted all the participants and expressed his gratitude to Zavita d.o.o. and the Ministry for Physical Planning, Construction and Environmental Protection in Canton Sarajevo for their continuous support. 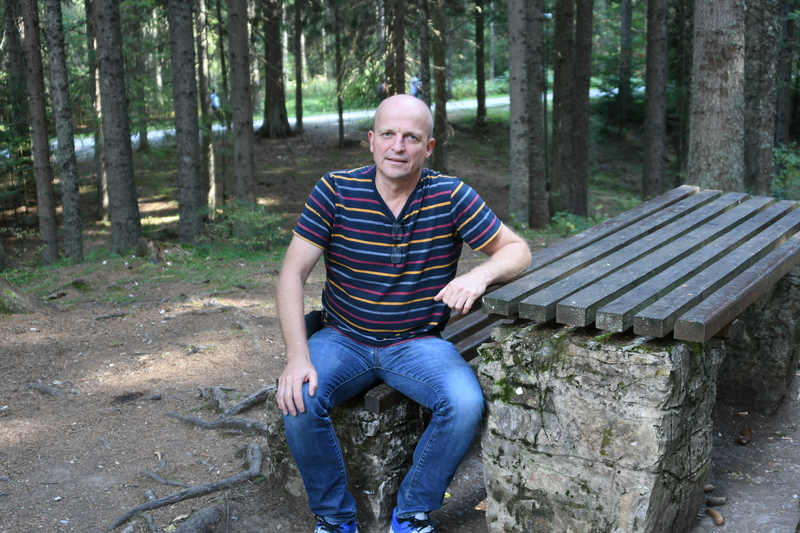 Mr. Čedomir Lukić, Minister for Physical Planning, Construction and Environmental Protection in Canton Sarajevo, expressed his satisfaction with the ECO KARST project and results achieved so far. In the first part of the workshop, the participants discussed potential activities that should be listed in the Action Plan for the Bijambare Protected Landscape, for each relevant sector recognized in the last workshop: tourism attractiveness, agriculture crops and honey, wood and non-timber forest products and protection and utilization of water resources. Participants were given the opportunity to clearly prioritize each action as well as to specify important areas on the map. The workshop was a great opportunity to present the ecosystem services maps developed for the Bijambare Protected Landscape. Maps were developed by using an innovative mapping approach and feedback received from stakeholders during the first workshop. The maps serve as a baseline for the Action Plan development. Besides, these maps are an extremely valuable communication tool to show stakeholders and public the functions and values of karst protected areas in terms of biodiversity and potential economic benefits. Participants later visited the fair and learned more about local producers from this area. Local producers presented their businesses, a variety of products, the obstacles they face and their plans for the future. "I first visited the Bijambare Protected Landscape in 2006. I remember it very well, and I took photos when I was there. So, I turn my computer on and look at those photos. My first thought is: what a difference! I am aware that people who often visit the place can not see the difference – but 12 years ago, Bijambare was a place people regularly visited to barbecue, leaving piles of waste in the nature. Cars parked everywhere, barbecue smoke and music. There was no way to experience the nature and all the beauties of the area. It was a beatiful area with a huge potential for improvements. The situation today is vastly different. Another photo: a parking lot, a tourist trolley, info point, the cave, educational trails and trail equipment. The old barracks are the same but project documentation for building an eco-camp on this location has been developed. The infastructure for visitors in the protected area is at a whole new level. And cooperation with the local community? 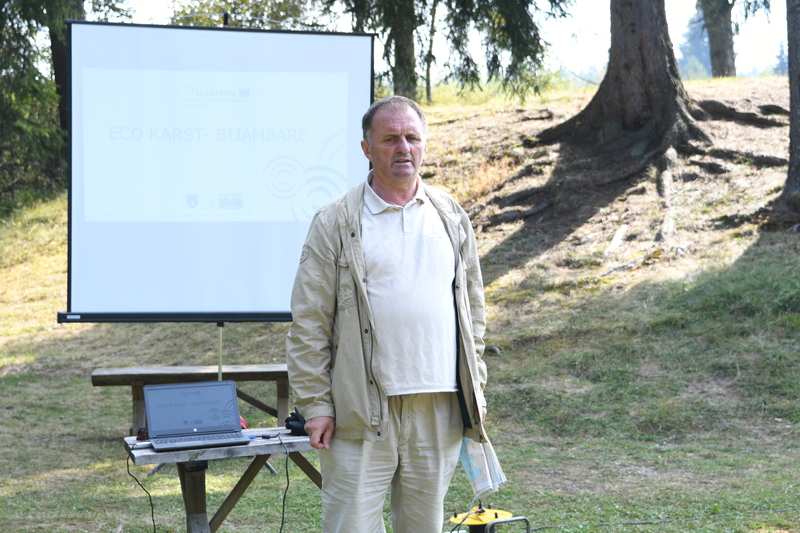 Workshops organized within the ECO KARST project have shown that cooperation is excellent. Stakeholders know each other, communicate and exchange ideas. For now, only concrete actions are missing. How to motivate local inhabitants to become actively involved in development activities, and thus contribute to a better quality of life in the area? We came up with the idea to publish a call and invite all interested parties to join us. We can help them with the implementation of their ideas, preparation of documents and promotion. We can also take them on a study trip, so they can see how it's done in some other protected areas. That's great, there will be something new for my next visit", said Mr. Matjaž Harmel from Zavita, Slovenia. Valuable feedback gathered during the second workshop will be integrated in the Action Plan for the Bijambare Protected Landscape – one of the key results of the ECO KARST project. The Action Plan will be proposed for further integration in relevant planning and strategic documents. This step will be crucial for local decision-makers to recognize challenges and opportunities and, finally, to provide financial support to successful implementation of suggested actions.